Dr. Brunetti is Director of Radiology, Holy Name Hospital, Teaneck, NJ, and Associate Clinical Professor of Radiology, College of Physicians and Surgeons, Columbia University, New York, NY. Dr. Brunetti discloses a relationship with GE Healthcare, Chalfont St. Giles, U.K., as a member of their PET Board of Directors and also as a research grant recipient. She also receives research grant support from Siemens Healthcare, Malvern, PA.
Twenty-first century cancer therapies are increasingly employing agents targeted to specific cellular processes. These agents are best tailored to patient needs by adapting our diagnostic and staging modalities to provide metabolic indications of disease activity. Concurrent advances in both our understanding of the molecular aberrations in cancer cells and our ability to image the primary or secondary effects of these changes bring us closer to the development of patient-centered treatment. One such cellular factor is the over-expression of GLUT-1 transporters that facilitates increased aerobic glycolysis, and consequently, uptake of 18 F-fluorodeoxyglucose (FDG) by cancer cells. 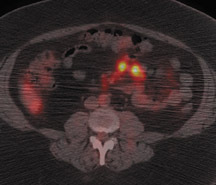 Functional positron emission tomography (PET) with FDG and combined anatomic-functional imaging with PET and computed tomography (PET-CT) have rapidly been adopted as methods of diagnosis, staging and therapy monitoring in a variety of cancers. This is due to the demonstrated improved accuracy over conventional anatomic imaging methods. In January, 2009, the Centers for Medicare & Medicaid Services (CMS) published revised recommendations for PET coverage based on review of two-and-a-half years of accumulated National Oncologic PET Registry (NOPR) data. The decision regarding breast-cancer coverage modifies previously covered indications of initial staging, treatment monitoring and restaging to now cover initial staging, excluding lymph node status, and imaging for subsequent treatment decisions. The final decision was made in April after a period of public comment that ended on February 6. The CMS decision is in large part driven by financial factors and concern regarding overuse and abuse of imaging modalities. Ultimately, the value of any oncologic imaging procedure should be viewed through the lens of both current and evolving therapies. This is particularly true of breast cancer. Early diagnosis is still the most effective approach, and in fact, U.S. mortality rates have dropped in the last decade. 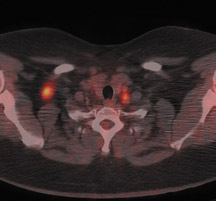 This is a direct result of education, screen- ing programs and improved imaging techniques such as digital mammography, aggressive use of ultrasound and contrast-enhanced magnetic resonance imaging (MRI) in addition to the increasing use of systemic adjuvant therapies. Strategies have been suggested for improving the detection rate on whole-body PET. These include dual-time-point imaging and prone imaging. Based on the premise that cancer continues to accumulate FDG while activity in normal or benign tissues declines with time, Mavi et al. reported findings of dual-time-point FDG-PET imaging in a prospective study of 152 patients with newly diagnosed breast cancer. 6 The study excluded cancers <3 mm. A limited PET scan of the thorax was acquired 46 to 112 minutes after the whole-body acquisition. Visual assessment and change in maximum standardized uptake value (SUVmax) were recorded and compared to surgical pathology. The authors reported sensitivities of 90.1% for invasive cancers >10 mm, 82.7% for invasive lesions 4 to 10 mm, and 76.9% for noninvasive breast cancers. Most lesions became more intense on delayed scans. There were 6 tumors >10 mm that were false negatives. These included 3 mixed ductal and lobular, 1 lobular, 1 mucinous, and 1 invasive ductal cancer. Recently, Imbriaco et al. 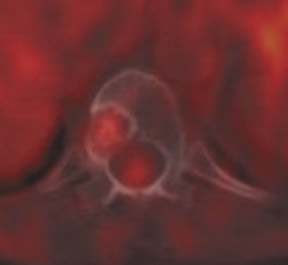 compared dual-time-point imaging of breast lesions with dynamic breast MRI. 7 Forty-four patients with 55 lesions underwent dual-time-point PET-CT in the prone position as well as breast MRI. Findings were compared with surgical histopathology. The accuracy of MRI was 95%, far greater than that achieved by PET-CT. However, the accuracy of PET-CT increased from only 69% with single-time-point imaging to 84% with dual -time-point imaging. In spite of the issues relating to the feasibility of performing dual-time-point imaging, these findings support implementation of longer uptake periods following FDG administration to optimize tumor-to-background activity. It is also important to remember that incidental breast cancers may be discovered on PET. 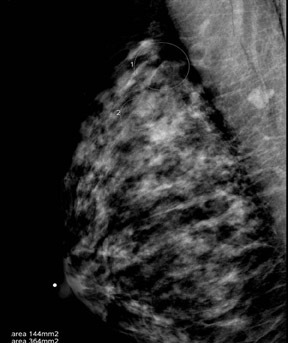 8 Due to the superficial location of breast tissue, additional careful review of noncorrected images may improve lesion perceptibility and facilitate discovery of unexpected primary breast cancers. In an effort to improve MRI specificity, Moy et al. developed a prototype positioning device that facilitates PET imaging of patients in a prone position duplicating that of MRI and therefore allowing computer fusion of PET and MRI images. 9 Forty-five lesions varying in size from 0.6 to 10 cm were imaged. Fifteeen lesions were histologically proven to be cancer. Sensitivity and specificity of MRI were 92% and 52%. Sensitivity and specificity of MRI-PET fused images were 63% and 69%. The positive predictive value for MRI alone was 69% but increased to 94% with PET-MRI fusion. Interestingly, in this small series although the specificity of lesion detection was increased with PET-MRI fusion, sensitivity was reduced. PET-MRI fusion allowed synchronous acquisition of both modalities, combining the high soft-tissue resolution and spectroscopy capability of MRI with the in vivo molecular information provided by positron imaging and the quantitative technology of both. Breast-cancer survival increases when diagnosed at very early stages, and continued technologic advances that optimize resolution and lesion detection bring us closer to achieving even better survival rates. Ultimately, it may be dedicated positron emission mammography scanners (PEM) that may provide significant gains in diagnosis and molecular characterization of breast lesions. Current PEM units have spatial resolution in the range of 1 to 2 mm and are equipped with biopsy capabilities. 13 Potential applications include preoperative imaging for surgical planning in patients who are either unable to undergo MRI or who have confusing MRI scans due to hormonal influences. In addition, PEM can establish a baseline to allow monitoring of chemotherapeutic treatment response and detection of recurrence. Berg et al. reported a multicenter prospective trial of 94 consecutive patients with known breast cancer or suspicious breast lesions. 14 Findings of PEM were compared with histopathology. The sensitivity and specificity for detection of cancer were 91% and 93% with accuracy of 92%. Large-scale trials will be necessary to fully explore the value of this focused technique. A recent study of 208 patients presented by Schilling et al. at RSNA in 2008 demonstrated similar index-lesion sensitivity for PEM and MRI of 93%, compared to 69% for whole-body PET. 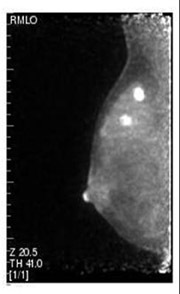 PEM appeared to have greater sensitivity for ductal carcinoma in situ (DCIS) detection (93%) compared with breast MRI (83%, Figure 2). For the detection of both ipsilateral and contralateral lesions, PEM demonstrated better accuracy than MRI. 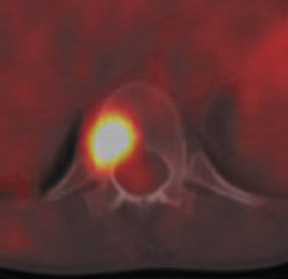 15 A large-scale 400-patient multicenter blinded study comparing MRI and PEM is currently under analysis to further investigate the value of this focused technique (personal communication: Kathy Schilling, MD, Center for Breast Care, Boca Raton Community Hospital, Boca Raton, FL). 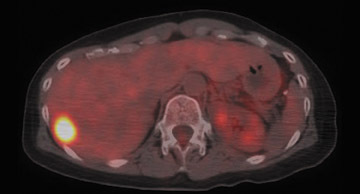 There is minimal value in performing whole-body PET or PET-CT in patients with early-stage disease in whom the likelihood of metastatic disease is extremely low. The American Cancer Society reports the 5-year-survival rate for patients diagnosed at stages 0 and I is 100%. Current practice guidelines recommend breast conservation surgery followed by breast irradiation and hormonal blockade. In this patient group, imaging guidance for establishment of surgical margins and exclusion of multifocal disease is critical. Although MRI has been the standard in this scenario, PEM can also be utilized for presurgical planning to reduce the risk of positive margins due to DCIS or satellite lesions in those patients who are candidates for breast-conserving surgery. 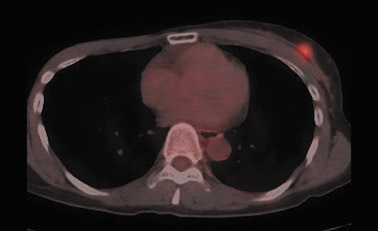 In patients who present with locally invasive disease, i.e., stage IIB and greater, PET-CT performed as part of an initial staging workup may alter therapy as a result of identification of distant metastatic disease. Fuster et al. compared preoperative PET-CT in patients with large (>3 cm) breast tumors with breast MRI, chest CT, liver ultrasonography and bone scan. 18 The sensitivity and specificity of PET-CT in detecting distant metastatic disease were 100% and 98%. For conventional imaging the sensitivity and specificity were 60% and 83%. The findings on PET-CT led to a change in staging in 42% of patients. Additional data supporting the use of PET in initial staging is reported by Cermik et al. in a prospective study of 271 patients with newly diagnosed breast cancer. 19 Extra-axillary nodal involvement was detected in 22 patients and distant metastatic disease in the absence of axillary metastasis was discovered in 5 patients. In 9.2% of patients, the tumor node metastasis (TNM) system stage was upgraded. Heusner et al. have developed a single-session breast cancer staging protocol utilizing whole-body PET-CT and prone PET-CT mam-mography. 20 The authors compared the integrated PET-CT protocol with the diagnostic accuracy of a multimodality algorithm including MRI, axillary ultrasound, SLNB, bone scan, chest radiography and abdominal ultrasound for the initial staging of breast cancer in 40 patients. Findings relating to the primary tumor, ipsilateral nodes, distant metastases, extra-axillary nodes and management changes were evaluated. The sensitivity for detection of the primary breast tumor was 100% for MRI and 95% for PET-CT. PET-CT was more accurate in determining focality and correctly predicted the pattern in 26 of 33 patients, whereas MRI was correct in 24 of 33. PET-CT detected 80% of ipsilateral nodes compared to 70% discovered with clinical exam and ultrasound. 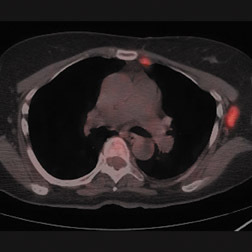 In 3 patients PET-CT identified extra-axillary nodes missed by conventional imaging and correctly identified distant metastatic lesions in 10 patients, while conventional imaging identified 7 of 10. 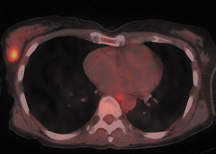 PET-CT findings resulted in therapeutic management change due to the detection of distant metastases in 5 patients, and synchronous colon and lung cancers in 2 patients. The prognostic implications of the pattern of FDG uptake in breast cancer are an intriguing research topic as the relationship between FDG uptake and biologic behavior of breast cancer may provide a method of risk stratification. The number of viable tumor cells per volume, histologic subtype, tumor grade, microvessel density and proliferative activity, as well as the expression of GLUT-1 transporter and hexokinase I, all influence FDG uptake in breast cancer. 21 There is data to suggest that a poorer prognosis is associated with higher tumor SUVmax. 22-24 An association exists between FDG accumulation and key cellular factors that indicate cellular aggressiveness. Shimoda et al. compared SUVmax and the immunohistochemcal and pathological factors of 37 patients with breast carcinoma. 25 The authors found a strong correlation between FDG uptake and mitotic counts; and the percentage of cells positive for the Ki-67 protein, which is a product of the MKI67 gene, and nuclear grade. Whereas standard prognostic indicators of tumor size, histology, ER, PR and HER2/neu over-expression did not. Recently, Basu et al. reported a 100% sensitivity in detection of triple-negative [ER-/PR-/ HER2/neu- ] cancers utilizing dual-time-point FDG-PET imaging and higher uptake of FDG in comparison to ER+/PR+/ HER2/neu -lesions. 26 Further investigation is needed to explore the clinical impact of these findings. 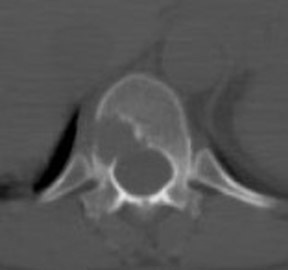 Only 1% to 2% of patients present with radiographically evident osseous metastases at the time of diagnosis. 27 Breast cancer is a systemic disease and micrometastatic disease in the form of disseminated tumor cells (DTC) may be present in the bone marrow of breast-cancer patients at the time of diagnosis and, if present, is associated with a poorer distant metastasis-free survival. 28 Interestingly, the presence of DTC in bone marrow did not correlate with axillary lymph node (ALN) status in a series of 270 early-stage breast-cancer patients reported by Saha et al. 29 The frequency of bone marrow micrometastasis (BMM) in this series was 9.6%. BMM were detected in 11.5% of patients with ALN metastases and in 8.9% of patients with negative axillary lymph nodes. The clinical impact of these studies has yet to be established but may yield critical information regarding tumor dormancy, progression and potential targets for novel drugs. Skeletal metastases present a particular dilemma to the oncologist as there has been no accurate method of monitoring patients with bone-dominant breast cancer. It is well know that osseous metastases in breast cancer can be osteoblastic, osteolytic or mixed. Early published data indicated that FDG PET was less sensitive than conventional bone scintigraphy in identification of osteoblastic-osseous metastasis and demonstrated a higher sensitivity in detection of lytic disease. 30 It is now evident that the presence of FDG uptake in bone lesions of breast-cancer patients may be a valuable indicator of disease activity. Several studies have reported a combination of morphologic changes in bone metastases seen on CT and patterns of uptake on FDG PET. Du et al. reviewed the findings on CT and FDG PET of 25 patients who underwent pre- and posttreatment PET-CT. 31 Ninety-three percent of osteolytic and 81.8% of mixed osseous metastases were FDG avid, while only 61% of osteoblastic lesions demonstrated FDG uptake. Seventeen patients had metastatic lesions detected only on FDG PET. After therapy, 80.5% of lytic lesions became FDG negative and osteoblastic on CT, while 25% of osteoblastic lesions became FDG negative. Twelve osteoblastic lesions remained FDG positive and increased in size on CT. The CT-negative lesions all became FDG negative, with 9 lesions becoming osteoblastic on CT. The authors suggested that FDG uptake is an indicator of cellular activity and CT morphologic changes are variable. Tateishi et al. compared the SUVmax of bone lesions as an indicator of response to therapy in a retrospective review of 102 patients with metastatic breast cancer. 32 Patients underwent FDG PET-CT scans prior to and approximately one month after systemic chemotherapy. SUVmax, total lesion glycolysis (TLG) and CT morphologic analysis were performed and compared with medical record follow-up to assess outcome. The authors found that after treatment an increase in CT attenuation with a decrease in SUVmax was associated with response duration (RD) and that a decrease of SUVmax of 8.5% or more was predictive of a long RD. Similar results have been reported by Specht et al. in a retrospective review of 405 patients. 33 The authors compared serial FDG-PET findings to clinical follow-up and reported a twofold increase in the likelihood of disease progression when FDG-positive bone lesions demonstrated no change in FDG uptake posttherapy and a higher initial SUVmax was predictive for a shorter time for skeletal disease progression. Interpretation of FDG-PET bone findings can be challenging in the absence of prior or baseline PET scans. In many cases, bone uptake may be heterogeneous due to underlying degenerative changes or may be increased as a result of chemotherapy. In these cases, it is sometimes difficult to identify small or early foci of disease with confidence (Figure 4). 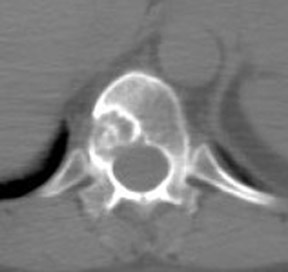 Metastatic bone disease can also be imaged with 18 F-fluoride PET and PET-CT. 18 F-fluoride binds in hydroxyapatite at sites of bone remodeling in a manner similar to 99m Tc-MDP bone scans, but at a rate that is twofold higher. 34 Both benign and malignant lesions may accumulate 18 F-fluoride so it is important to correlate findings with CT or MRI. There are no studies that evaluate posttherapy up-take patterns of 18 F-fluoride. 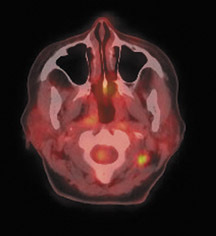 In view of the uptake mechanism of 18 F-fluoride, it may be that posttherapy scans might actually demonstrate increased uptake as an index of response, paralleling increased sclerosis that is evident on CT.
For detection of locoregional recurrence and identification of distant metastatic disease, FDG PET and PET-CT is superior to conventional imaging alone. 37 Accurate identification of metastatic disease in internal mammary lymph nodes is often difficult on CT. Detection of internal mammary (IM) and mediastinal lymph node metastasis is improved with FDG PET. Eubank et al. retrospectively reviewed the PET and CT scans of 73 breast cancer patients with thoracic metastases. 38 In 33 patients, biopsy confirmation was available. The sensitivity, specificity and accuracy of PET in detection of IM metastases were 85%, 90%, and 88%, respectively. For CT, the sensitivity, specificity and accuracy were 50%, 83% and 70% (Figure 5). Detection of pulmonary and hepatic metastases is dependent on lesion size and partial volume effects resulting from respiratory motion. 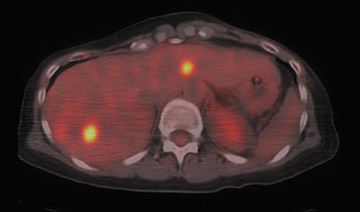 Dual -time-point PET-CT imaging improves hepatic lesion detection by increasing tumor-to-background activity. Dirisamer et al. reported a 90% sensitivity in diagnosis of liver metastasis on delayed PET-CT vs. only 59% sensitivity on the initial scan. 39 This same author recently reported the findings of a series of 52 patients with suspected recurrent breast cancer imaged with contrast-enhanced PET-CT. 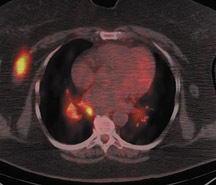 The findings of PET, CT and contrast-enhanced PET-CT were compared. Verification of disease was accomplished by biopsy or follow-up exams. All 3 modalities identified 44 visceral metastatic lesions with the same accuracy. 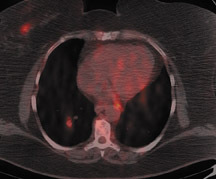 Contrast-enhanced PET-CT and CT were more accurate in identification of pulmonary lesions. The overall accuracy for all metastatic foci was 77% for CT, 96% for PET and 98% for contrast-enhanced PET-CT 40 (Figure 6). combining nanoparticle technology with our increasing understanding of the cellular factors that govern transformation of cells to malignant phenotypes. With respect to breast cancer, it is possible that currently accepted clinical staging and prognostic criteria will be modified or completely replaced by a molecular and genetic patient-specific tumor blueprint. This will likely be accomplished through a multimodality approach of molecular typing with application of patient-specific indicators of prognosis and risk for relapse, combined with targeted therapies. Even after we have finally attained that level of sophisticated biologic road mapping, functional anatomic imaging with PETCT will remain a powerful tool in therapy decision making. 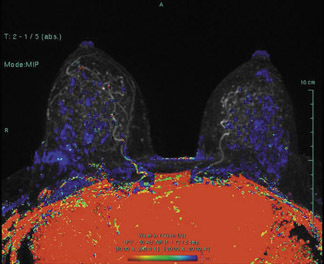 PET and PET-CT imaging of breast cancer. Appl Radiol.